Samsung announced back in January that its 2018 and 2019 smart TVs are getting iTunes and AirPlay 2 support. The iTunes Movies and TV Shows app will be available exclusively for Samsung’s smart TVs in over 100 countries initially. That’s before it arrives on smart TVs from other manufacturers. 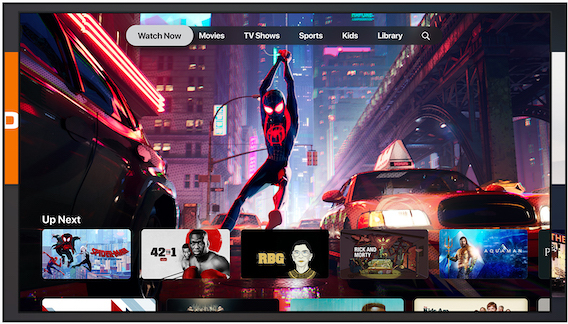 Apple today unveiled a new Apple TV app. It brings together the different ways and services that people watch TV today. The company will be releasing the app across a variety of platforms and Samsung smart TVs will be the first to get it. The new Apple TV app will be out in May 2019 for Apple’s own devices first. It allows users to discover and watch shows, movies, news, sports and more in one app. This app will be available across iOS and macOS devices in addition to streaming devices and smart TVs. It will also enable them to view content from their cable, satellite or online TV streaming subscriptions from within the app. With Apple TV channels, subscribers will be able to pay for the premium networks they want, such as HBO, Showtime and Starz. Last but not least, the new Apple TV app will allow users to purchase or rent iTunes movies and TV shows. What is AirPlay 2 ? i Have netflix and google play on my Q9 and HBO as well, i don’t see any point of bringing Apple Tv to samsung tv’s. I’m happy with my Netflix, Amazon Prime, Google Play, Hulu and some other local ones. I would never in my life pay one red cent to Apple. Lol. Seriously though I think Apple are far too late entering this business. They’ll probably charge too much and mostly just some of their shrinking iOS base might use it. Admittedly putting it on the biggest selling TV brand might help, but just look at the great streaming services already available. Even now the Samsung has HBO app on their tv’s. i really don’t see the point in this. if its for music we have spotify as well.